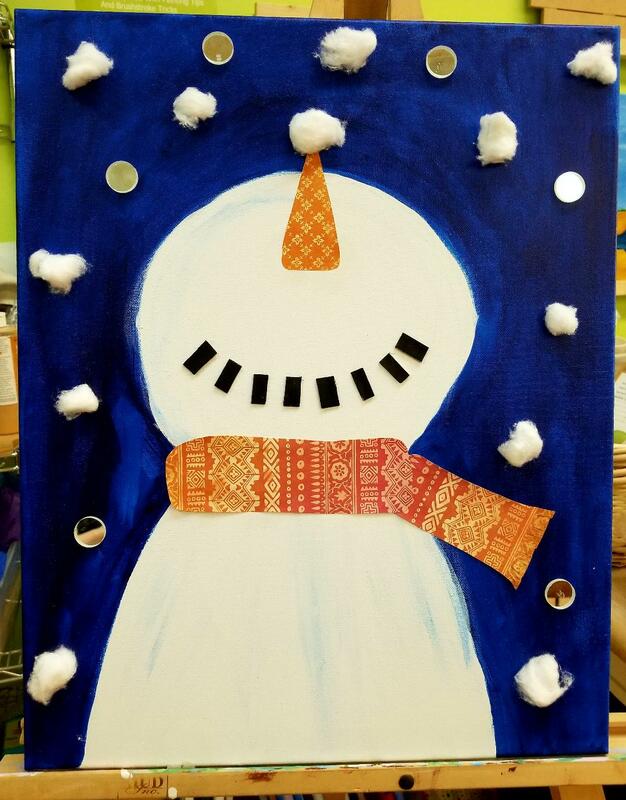 Join us to make this adorable mixed media snowman canvas! We will be painting the snowman and adding designer paper scarves, puffy snowflakes, and even some glassy ones! The canvas is a big 16×20 size. And yes, we will be munching on some pizza!! Reserve your kiddo’s canvas now.